Abstract: The Zembrzyce Beds were studied to interpret the environments and facies in the western part of the Siary Subunit. 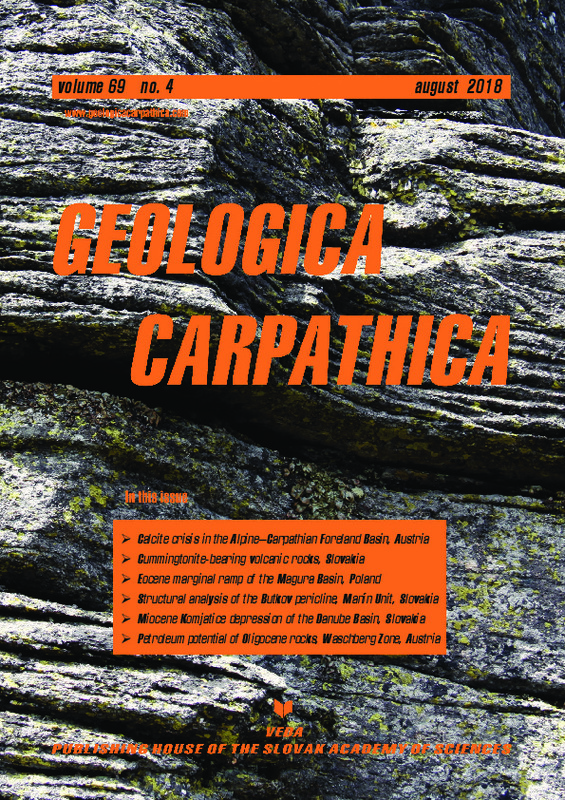 New sedimentological data were obtained for the reconstruction of the depositional architecture of the Zembrzyce Beds. Based on detailed facies analysis, 9 facies and 4 facies associations were recognized. The facies associations represent different architectural elements of a submarine fan, such as: termination of distributary channel with transition to depositional lobe (distal part of mid-fan /outer fan sub-deposystem), lobes and distal lobes (outer fan sub-deposystem). According to the classification of Reading & Richards (1994) the fan deposystem can be classified as mud /sand-rich ramp. This system consists of several elongated lobes that formed synchronously, migrated laterally, and then retreated or decayed. The depositional system was supplied from the north and north-east. The inner-fan sub-deposystem was not detected. The sediments were deposited by high- and low-density turbidity currents and hyper-concentrated density flows sensu Mulder & Alexander (2001) with participation of the depositional background processes (pelagic settling). The sedimentary conditions of the Zembrzyce Beds during the Late Eocene were controlled by tectonic movements, the progress of the subduction and the global sea level changes.